The Best UK Coaching blogs from thousands of top UK blogs in our index using search and social metrics. Data will be refreshed once a week. 2.45 Andrea Morrison - Discover the REAL you, together, Today! 2.52 Chris Dudley | Life Coach - Stop Surviving, Start Thriving! UK Coaching newsletter is a comprehensive summary of the day's most important blog posts and news articles from the best UK Coaching websites on the web, and delivered to your email inbox each morning. To subscribe, simply provide us with your email address. London About Blog Integrity Coaching works with headteachers and senior school leaders to help unleash their ability to impact future generations. Viv Grant is the Director of Integrity Coaching and has a strong track record in working with other to help raise standards in Education. Facebook fans 298. Twitter followers 9,779. Facebook fans 1,120. Twitter followers 4,616. Facebook fans 648. Twitter followers 2,063. Lincoln, UK About Blog I'm Sarah, The Nurturing Coach, and founder of NAPARRC. I am a narcissistic abuse and parental alienation specialist. As part of NAPARRC we offer free group support both in person and online. My work is one:one for those of you who need that little bit more support. Facebook fans 630. Twitter followers 3,385. East Barnet, Barnet, United Kingdom About Blog The Kids Coach offers life coaching for kids helping them deal with problems and solve their issues, making them happier and less stressed. Facebook fans 1,105. Twitter followers 11,131. UK About Blog A complete Holistic Health, Life and Business coaching and guidance service. Follow us to keep up with articles on Hypnotherapy, Fitness, Exercise, Health, Massage, Nutrition, Meditation, Akashic Records, Energy Healing, Reiki, Holistic services and online health and life coaching Programs. Facebook fans 5,318. Twitter followers 1,867. Cambridge, UK About Blog I'm a table tennis coach, player and blogger based in Cambridge in the UK. I'm here to help you improve your table tennis skills. Facebook fans 219. Twitter followers 781. Willand, Devon, England About Blog A comprehensive blog on all matters related to fitness training for sports and coaching of young athletes. Expert Strength and conditioning coaching and athletic development for sports people. Newport, Wales About Blog Liminal Coaching - Unlock Your Mind's Full Potential Embracing consciousness as the next competitive advantage. Facebook fans 123. Twitter followers 2,122. Dorset About Blog Emma Mumford is a fully certified Life Coach, Award-Winning Blogger, YouTuber and Public Speaker. You can also shop Emma's Law of Attraction merchandise exclusively here! Facebook fans 27,193. Twitter followers 13,248. London, United Kingdom About Blog I'm Liz Goodchild and I'm a life coach. I'm here to help you make your life better. From feeling less stuck to making decisions that feel good. About Blog The coaching blog. From Non-Coach to Coach and Beyond. A blog for coaches and those interested in coaching. Facebook fans 1,766. Twitter followers 34,047. London,UK About Blog The Mindset & Business Coach for creative entrepreneurs and freelancers. A specialist in helping others transform their gifts into profitable businesses. Facebook fans 20,207. Twitter followers 835. Marlow, Bucks, UK About Blog A directory listing of UK verified executive, leadership and career coaches, and coach supervisors, helping you make a more informed decision on whom to work with. London, UK About Blog CoachBright exists to widen university access for our most able pupils. We do this by matching them with the best university student coaches improving their grades, confidence and expectations. Facebook fans 596. Twitter followers 1,446. London, UK About Blog The Divorce Coach Sara Davison provides practical & emotional support during your divorce. Strategies & techniques enable you to navigate and cope with your divorce. Facebook fans 2,851. Twitter followers 1,873. London, United Kingdom About Blog Graduate Coach offers Personalised Career Coaching, Interview Training and CV Writing for undergrads looking for help to prepare for employment, graduates looking for help to get their first job or second-jobbers looking for help to move into a new career - with 100% success. Facebook fans 197. Twitter followers 1,339. Leicester, United Kingdom About Blog Get all the latest ActionCOACH news from the business and coaching industries. Regularly updated with useful business tips and advice to help drive success. Facebook fans 2,080. Twitter followers 2,051. UK About Blog Mariette is a no nonsense mindfulness life coach and meditation teacher in Surrey and offers distinctively different coaching, a combination of psychology models, coaching methods and mindfulness for quick results. Facebook fans 2,117. Twitter followers 1,207. Totnes, England About Blog Hello. I'm Matthew Fox, a coach, a counsellor and a parental narcissistic abuse recovery expert; here to help you stop the second guessing and rebuild your self-confidence and self-esteem. Here you will find Narcissistic abuse recovery articles, resources and blog. Facebook fans 292. Twitter followers 1,549. Nottingham, United Kingdom About Blog Nottingham Nutritionist Susan Hart is a qualified Nutrition Coach in Nottingham, UK. Need advice on Nutrition in Nottingham. Providing healthy eating advice & cookery lessons to individuals, groups & companies. Facebook fans 638. Twitter followers 1,539. Brighton, UK About Blog I’m Simonne Gnessen, co-author of Sheconomics and Money Coach & Financial Life Planner at Wise Monkey Financial Coaching. I help clients build a better relationship with money and feel calmer, more in control and confident about their finances. I’m not a traditional financial adviser and I don’t sell financial products or receive any commission or payment from third parties. Facebook fans 297. Twitter followers 1,765. Cheltenham, Gloucestershire About Blog My Fit Life Coaching specialise in supporting professionals and small businesses to take an active interest in living fitter. To find the freedom to take control of their lives and work environment to set exciting new challenges and goals. Facebook fans 315. Twitter followers 714. Northampton, Northamptonshire About Blog Amazing Coaching: Life coaching boosts confidence, self esteem and resilience with confidence coaching courses. Facebook fans 3,753. Twitter followers 2,043. Hertford, Herts, UK About Blog We are a progressive bicycle skills coaching company, dedicated to giving the best quality coaching at our dedicated, custom built coaching facility near Hertford, Hertfordshire. Facebook fans 4,109. Twitter followers 2,049. Kent About Blog Hi I am Anita and I am a Lifestyle and Business Success Coach, I have over 25 years experience in Marketing in the Publishing, Retail, Advertising, Small Business, and Local Press Sector. I am an accredited Performance Coach. Facebook fans 1,409. Twitter followers 594. Milton Keynes About Blog Coaching for bright, reflective women who want to lift the lid on their imagination, inspiration and motivation. Facebook fans 188. Twitter followers 214. Devon About Blog Red Oak Coaching offers a bespoke coaching service to individuals, businesses and organisations across North Devon and Cornwall. Egham About Blog ParentingSuccess Coaching support you to become the best parent you can be. Through dynamic and non-judgmental workshop we offer easy to implement tools and strategies. We also offer private Parenting Coaching, Home Hosting and support to schools. Facebook fans 1,175. Twitter followers 297. Bicester, Oxfordshire About Blog Future Path Life Coaching is dedicated to bringing out the best in you, giving you the time to think clearly about what is important to you and encouraging you to reach your full potential. Their mission is to enable Mums to shine as strong leaders in their families. Facebook fans 253. Twitter followers 11. 45. Andrea Morrison - Discover the REAL you, together, Today! Bristol, UK About Blog I am Caroline Arnold. I am an Executive Coach, Author, Speaker, NED, Lecturer and Mentor helping women get confident and accelerate their career. Caroline Arnold Coaching helps women achieve their goals so they fulfil all their dreams. Facebook fans 554. Twitter followers 3,348. Bath, Somerset, UK About Blog Globally recognised facilitator, coach, consultant, author and speaker specialising in Authentic Leadership. Innovators in Learning and Development solutions we specialise in team development, authentic leadership development and developing a coaching culture. Facebook fans 40. Twitter followers 15,684. London, England About Blog Julia Keller helps to empower women to transform themselves, their love lives, and lives overall, dramatically. Using her own life transformation, along with thorough studies in the areas of psychology, coaching, attraction, love, relationships, and happiness; and the work with her clients as a guide. Facebook fans 2,957. Twitter followers 4,804. Worthing, West Sussex About Blog Get inspired, it's the Creative Living blog. Empowerment, creativity, motivation and confidence posts to help you live a life full of creative expression. Kate Taylor, creativity and empowerment life coach, creative business mentor, Master NLP practitioner & clinical hypnotherapist. Operating worldwide. Facebook fans 1,025. Twitter followers 1,164. Golborne, Wigan About Blog Helping dog professionals build a more successful business. One to one coaching and group workshops. Facebook fans 550. Twitter followers 622. 52. Chris Dudley | Life Coach - Stop Surviving, Start Thriving! Leeds, UK About Blog Hello, I'm Chris, I'm a Life Coach. I support individuals to transform their lives through life coaching and therapy. My mission is to simply inspire, guide and support you to be more tomorrow than you are today. Facebook fans 233. Twitter followers 692. London, England About Blog Rebecca Morley Coaching - Business and leadership coaching for small business owners who want to move from start up to grown up. I help fast growth businesses move from startup to grown up. I support them to optimise their business & leadership to maximise profit and minimise complexity. Facebook fans 267. Twitter followers 165. London, United Kingdom About Blog Welcome to Chelsham. Our impactful executive coaching interventions lead to people & organisations unlocking their potential & attaining their goals. Facebook fans 65. Twitter followers 820. Cambridge, England About Blog Blog & articles sharing ideas, concepts & practical tips on confidence, habits, mind set, relaxation, mind- body connection, awareness, values & more. Facebook fans 273. Twitter followers 857. Harwell, Oxfordshire About Blog This page is all about helping you to be more confident, resilient and kinder to yourself. Facebook fans 122. Twitter followers 864. Cirencester About Blog I am ME and an entrepreneur passionate about life & people. I am a Personal, Business, Youth Coach an a Motivational Speaker. Facebook fans 1,028. Twitter followers 412. Banbury, Oxfordshire About Blog Hi! I'm Ruth, welcome to Ideal Balance Coaching. I'm passionate about helping people put themselves first. I am a Relationship & Communication Coach at Ideal Balance Coaching. I'm using this blog, my free resources and 1to1 coaching to help people put themselves first, find their ideal balance and start building their trust in themselves. Facebook fans 132. Twitter followers 93. London, England About Blog Luminate are health and wellness coaches for individuals and companies looking to improve personal wellbeing through coaching and training. Helping individuals achieve success and overcome challenges they face. Supporting organisations to develop fulfilled employees. Facebook fans 227. Twitter followers 344. Cambridge UK About Blog The Bright Sparks Coaching blog posts for the up-to-date information on business & work psychology and personal coaching research to help you along. Bright Sparks Coaching is the Cambridge careers, professional & personal development service designed to create the clarity for your career vision. Facebook fans 86. Twitter followers 164. North Norfolk, UK About Blog Read more of Debi's musings on all aspects of personal and professional development here. Debi Haden is a development coach based in Norfolk in UK facilitating personal and professional development with individuals and organisations. Facebook fans 795. Twitter followers 278. Leicestershire, UK About Blog Working with women running small businesses. Helping them to put life into their business. Be at your best in life and at work. Coaching to help you find your purpose and achieve your personal and professional potential. Facebook fans 70. Twitter followers 563. London About Blog An Executive Coach and Registered Mental Health Nurse who is passionate about delivering excellence and supporting others to think differently about the way they think, act and behave in order for them to have a more fulfilling and successful life. To help successful people experience more success in their lives. Facebook fans 162. Twitter followers 783. Maidenhead, South East About Blog Vida coaching helps you find the perfect job, career or work-life balance. I'm a qualified career coach based in Maidenhead and work with clients worldwide. Their mission is to motivate you during a time of career transition and help you to gain a fresh perspective.Their aim is to inspire you to discover your true potential so that you lead a more fulfilling life. Facebook fans 223. Twitter followers 536. Suffolk, UK About Blog Proven Business Coaching, Mentoring & Training from providers who know what success looks like. Read our blog for tips on how to choose the best coach, mentor or trainer. Nottingham, UK About Blog An experienced Coach, you’ll find me professional and non-judgemental, approachable yet challenging, with a track record of helping people achieve lasting, positive change. I am accredited as a professional Coach by the Association for Coaching – probably the only accredited AC Coach in Nottingham. London, UK About Blog Hi, I'm Steve. I’m a life and career coach and I run Shibuya Coaching. I am passionate about supporting people to get what they want out of life. Facebook fans 41. Twitter followers 720. Glasgow, United Kingdom About Blog On my life coaching blog you'll find helpful tips and advice to help you transform your life. Life coaching is the helping hand to get you back on the right track. Together we'll work to create a life you love. London, England About Blog Asteria Life Coaching is run by Julia Bloxham and offers life coaching for individuals as well as workplace coaching for teams. Asteria Life Coaching provides a compassionate, holistic, person-centred, and bespoke coaching service for individuals and groups that want to achieve academic excellence, outstanding personal and professional growth, and a joyful, rewarding life. Facebook fans 1. Twitter followers 244. London, United Kingdom About Blog Julian Nagi is the head coach and founder of Team Nagi triathlon coaching. A former Ironman triathlete he now focuses his energy on getting the very best out of the athletes he works with. He has coached hundreds of athletes to success over the years from beginner through to elite, taking numerous athletes to medal winning performances at World Championship level at every distance. Facebook fans 260. Twitter followers 746. Henfield, UK About Blog Jenny Butter is an Accredited Senior Coach. Life Coaching, Career Coaching, Business coaching, Gallup Strengths Coaching. Clients give consistently excellent client reviews. Confidence, motivation, health and energy building tips; articles on overcoming stress and life dissatisfaction to feel fulfilled and happy. Facebook fans 155. Twitter followers 146. Gloucester, UK About Blog Optimum Coaching is a blog where coaching can be an incredible tool. An opportunity to talk, reflect, generate fresh ideas, build confidence and find ways forward that are tailored to your family. Seaton, UK About Blog I am Richard Anderson of Awakening Coaching UK. I am really excited to bring you the UK chapter of a powerful, liberating, deep methodology of coaching that was pioneered by Arjuna Ardagh (www.arjunaardagh.com), and is often known as Awakening Coaching. My mission is to awaken people to their passion, purpose and to realise their highest potential. Bristol, United Kingdom About Blog Anne Miller Coaching blog on a variety of topics inspired by my observations on client situations and developments. London, United Kingdom About Blog I am a Mind Body Balance Coach and live near Malvern in Worcestershire. I aim to help you discover how you relate to food. I will help you make simple changes in your everyday life that can result in a change to your metabolism and the way your body responds to food. Essex About Blog State of mind has long been considered a key variable in sport, but is often overlooked in business. England, United Kingdom About Blog I'm a Life Coach and Creative Coach working with people at all stages of their personal or professional development journey. I enable clients to find happiness through their work and to find balance and fulfilment in their life. Ideas and inspirations to help you start making a living from doing what you love. Advice for Creative Entrepreneurs, career changers and the unfulfilled! Facebook fans 165. Twitter followers 139. Derby, UK About Blog Christian life coaching transforms lives from the inside out. My mission is to coach people to breakthrough and lasting change. AND to equip Christians to effectively coach people to take hold of who they are in Christ and fulfill their destiny. Facebook fans 1,638. Twitter followers n/a. United Kingdom About Blog We are UK Coaching. Through our commitment to people, passion and progress, we're taking the lead in coaching excellence. Our mission is to put coaching at the heart of physical activity and sport. Facebook fans 2,670. Twitter followers 38,781. London, United Kingdom About Blog KM Image Consulting is a leading international team of image consultants offering a highly personalised service for discerning individuals and corporations. Facebook fans 458. Twitter followers 632. London, United Kingdom About Blog An ActionCOACH accredited business. One of London's most successful Business Coaching practices. Read the popular LBC Business Blog - in depth articles written by London's top business coaches and mentors, plus guest authors. Subscribe for updates. Facebook fans 455. Twitter followers 1,105. Leeds, UK About Blog Helping more people and organisations inspire an active nation. Facebook fans n/a. Twitter followers 9,943. Leeds, Yorkshire About Blog Novum, previously known as PB Coaching, is the UK and Ireland's leading specialists in people, team and organisational coaching and development. Facebook fans 432. Twitter followers 1,193. London, United Kingdom About Blog Psychosynthesis Coaching Limited has been set up to make psychosynthesis coaching more available and accessible to leaders in all types of organisation and to meet the emerging needs of the coaching profession. Facebook fans 55. Twitter followers 99. London, UK About Blog Help you create a healthy bank balance whilst living the life you love. Money Coach for individuals & small business owners.Loved piggy banks from a young age. Facebook fans 795. Twitter followers 279. Stafford About Blog Helping you Awaken, Unlock and Achieve your potential through our ILM courses in Leadership, Management and Coaching. Facebook fans 217. Twitter followers 542. Amersham, Buckinghamshire About Blog I'm Faye and I'm a business and mindset coach who helps creative entrepreneurs maximise their success and create the business of their dreams. Facebook fans 3,269. Twitter followers 593. Umea Sweden About Blog European Tour Coach, British P.G.A Advanced Golf Professional coaching in Umeå, Sweden, Stockholm, Sweden and Kent, England. Facebook fans 274. Twitter followers 2,549. 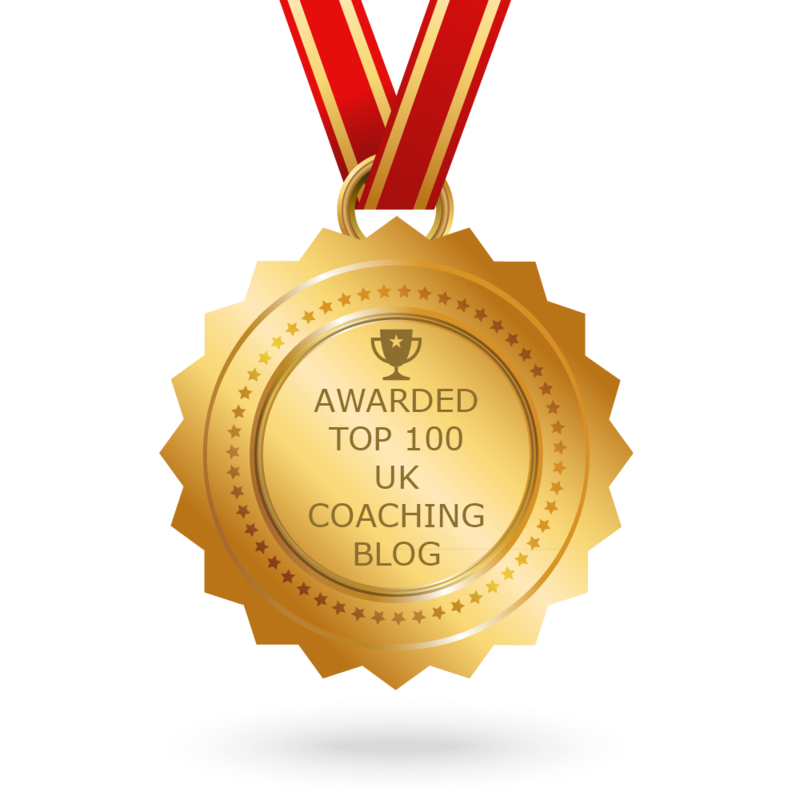 CONGRATULATIONS to every blogger that has made this Top UK Coaching Blogs list! This is the most comprehensive list of best UK Coaching blogs on the internet and I’m honoured to have you as part of this! I personally give you a high-five and want to thank you for your contribution to this world.